ESKISEHIR(TURKEY), June 13, 2018 (Xinhua) -- Turkish President Recep Tayyip Erdogan (3rd L), Azerbaijani President Ilham Aliyev (2nd L), Ukrainian President Petro Poroshenko (3rd R) and Serbian President Aleksandar Vucic (2nd R) attend the inaugurating ceremony in Eskisehir, Turkey, June 12, 2018. 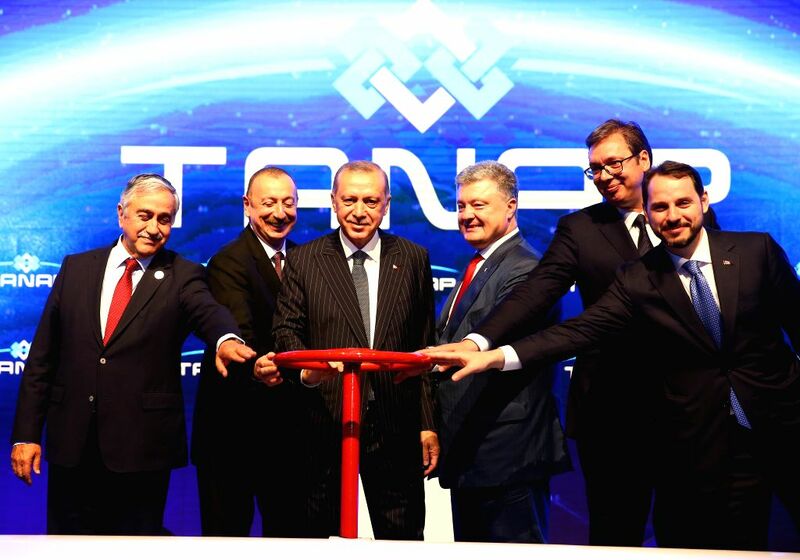 The Trans-Anatolian Natural Gas Pipeline (TANAP), a key section of Europe's long-delayed Southern Gas Corridor (SGC) and a multinational project to bring Azeri natural gas to Europe via Turkey, started operation on Tuesday. 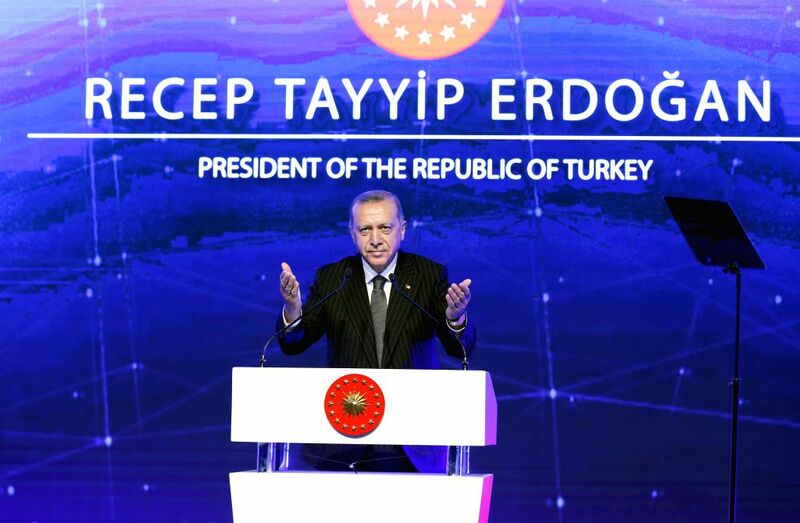 ESKISEHIR(TURKEY), June 13, 2018 (Xinhua) -- Turkish President Recep Tayyip Erdogan speaks at the inaugurating ceremony in Eskisehir, Turkey, June 12, 2018.